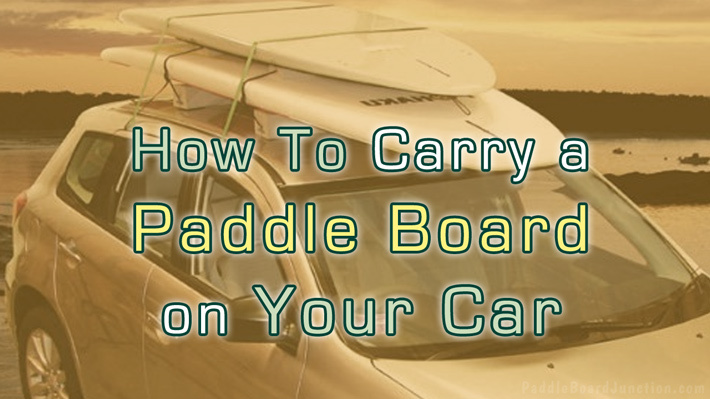 Carrying paddle boards is a hassle to begin with, but it is made easier with the availability of a vehicle. Cars provide easy transportation for your stand up paddle board and are extremely convenient for long distance day trips out on the water. The best way to transport 1 or 2 boards long distances is by car. More than two boards usually calls for something like an SUP carrier system. 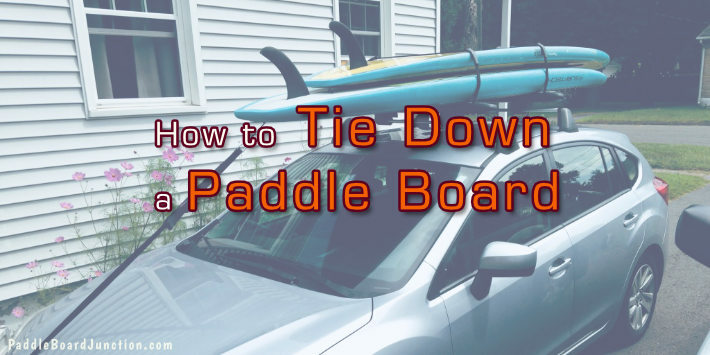 You can transport a stand up paddle board on your car with or without a roof rack, you just need the know-how. Make sure to always transport your board on your car flat with the fins facing up. If the fins are facing down they could scratch the roof of your car, and if the board is on its side it could act like a big sail and make you lose control while driving (and we don’t want that!). 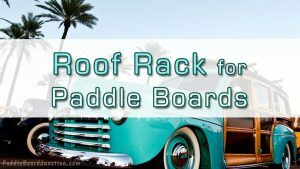 Many cars come with built-in roof racks with crossbars, which makes the transportation of your paddle board that much more convenient. The most basic type of racks are soft racks, which are simply pads that sit on the roof of your car and support your board. These will work fine, but a much better option is a good quality set of racks (non-soft racks). One option for tying down your board that is more budget friendly: Invest in some rack pads and straps to tie down your board. Rack pads are simply padding that goes around the bars in the roof racks, in order to better support your paddle or surf boards and not scratch them. SUP specific rack pads will work better than your standard foam surfboard pads. 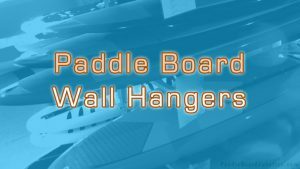 Paddle boards are much wider than surfboards and you need to consider getting rack pads that will support that extra width. 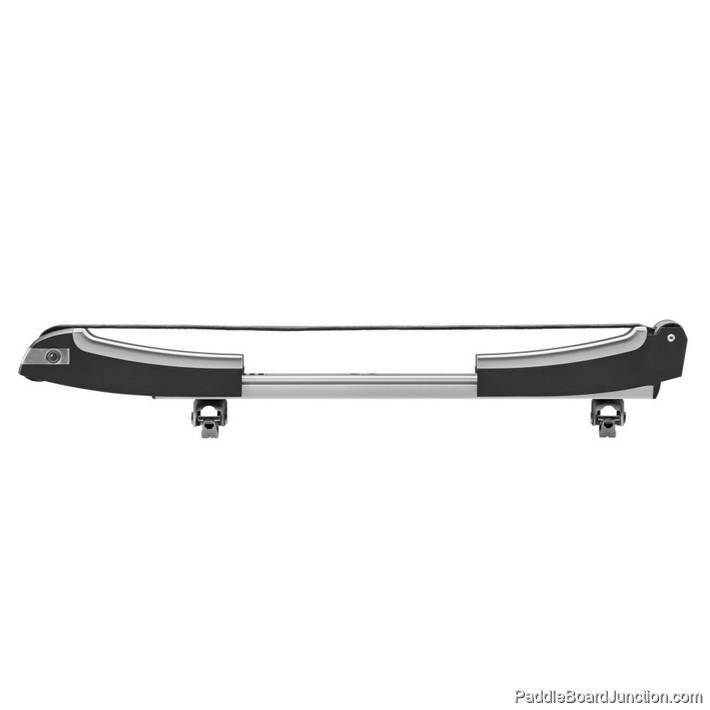 A good quality set of rack pads are the Yakima SUP 30 inch crossbar pads, which are designed specifically for supporting stand up paddle boards. The Yakima brand also has an option that helps you to find products that fit your vehicle. The perfect thing to pair with a set of rack pads are some straps. Some nice thick, high-quality straps with good padding under the cam buckles will do the trick. 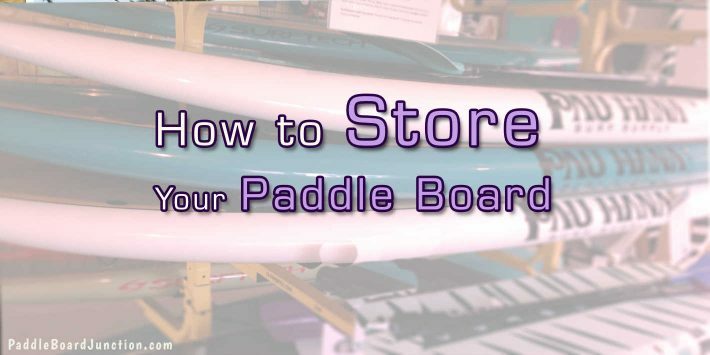 All the straps do is wrap around your paddle board and the bars of the roof racks, lock at the buckles, and help secure the board tightly onto the racks. Any kind of utility strap will work well for this part, just make sure that they are high quality. Remember that this is the budget-friendly option – you shouldn’t skimp on the straps! 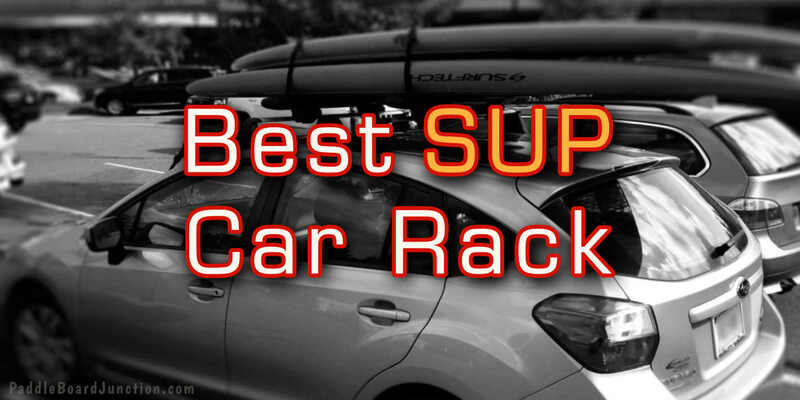 A more expensive method of transporting your board with built-in roof racks on your car is investing in an SUP specific carrier system. These features are what makes these carrier systems more expensive, but they are extremely convenient if you transport SUP’s very often. For those of you without built-in roof racks on your cars, there are still good options for transporting your paddle boards. The bright side is that this method is pretty inexpensive! All you really need is some good quality roof pads and straps. The roof pads are just thick and sturdy foam blocks that attach to the roof of your vehicle and support your board. Hopefully these tips will help you feel more comfortable and prepared the next time you transport your boards!